If you want to tell unforgettable stories and master the art of game mastering, you’re in the right place. If you are struggling to figure out what’s wrong with your game, you’re also in the right place. My name is Johnn Four and I run this site, which is devoted to helping you improve all parts of your game, from getting organized to creating edge-of-your-seat encounters to building long-term campaigns. I’ve been GMing since 1980, published a GM advice column in Dragon Magazine, have written four books about how to improve your GMing, contributed to the Dungeon Master’s Guide II and have written over one million words on the topic of running better games. When it comes to being a great game master, I know my stuff. That’s because of you and your fellow Roleplaying Tips readers. Since 1999 I have published the GM tips newsletter that features my articles, your feedback, your articles and your GM tips. In this way, I have chatted with thousands of game masters world-wide for over a dozen years and learned every day how to become a better GM. And all this knowledge is available to you. Wow, Friday Gems is awesome! I just wanted to tell you, that your continued effort to share RPG tips and info for all of us is really, really appreciated! Thanx a ton!!! Click here to contact Johnn Four. Roleplaying Tips was founded by Johnn Four. I started this site for a selfish reason: to improve my own game mastering skills. I thought if I shared my own tips and experiences then others would send in tips of their own. It is amazing the tremendous response this little project has received….and my GMing has improved greatly! I hope my readers’ games have benefitted as well. My goal is to make this site the Internet’s premier resource for game masters all around the world. You have a lot of knowledge to share, whether you know it or not, just from your life’s experiences and skills, if not from actual experience at the game table. Please subscribe to the Roleplaying Tips Newsletter, enjoy the tips, and share some of your own for everyone’s benefit. Love the tips. It has helped me become a better GM, and I’m sure my players appreciate that. And in being a better GM, I enjoy being a GM even more. Thanks! I live in Beaumont Alberta, Canada with my wife and yorkie, Missy. I work as a Web Analyst at the Alberta Motor Association, which jives well with my passion for helping the internet be a great place. If I can help websites improve, the internet wins. I’ve always had a regular gaming gig. I started roleplaying in elementary school when my grade 5 teacher let a student run a game for the whole class. The student, Sean, handed 20 pre-made characters out and cracked open good ol’ B2 – Keep on the Borderlands. Within the hour 14 kids were off doing their own thing and six of us stuck it out. I remember getting paralyzed and then slain by a carrion crawler. Cool. So we played during lunch breaks thereafter until the DM moved out of town. Then my friend received a D&D boxed set for Christmas and I started DMing. He said, “What the heck is this?” I said, “I think I know, let me check it out.” After that I was hooked and bought the AD&D books soon afterwards. By that summer my friend had 50th level characters named Merlin, Conan and Thor, and we were going through the monster manual in alphabetical order slaying every type of monster on the way. LOL. In university (UBC) I joined the games club. There was a callout for a new campaign so I showed up. So did 14 other people. The GM said, “There’s too many here to GM. Does anyone want to talk half and run their own campaign?” Crickets. I was shy, but after moments of awkward silence I raised my hand. I GM’d almost weekly in Uni with five great guys. Three Canadians, one South African and one from the U.K. By luck, I got the best players out of that group of 14 it seems, because within a couple months that other campaign folded. My guys were passionate about characters, story and adventure and played for years. You’ll read references in my emails about The Vancouver Group. Best group ever. After university I stayed in Vancouver for work. My Uni group split up but I quickly met a guy who played while working graveyards as a security guard. He had two friends and I ran one of my best campaigns ever with them, plus a fourth guy who showed up later on. You have created a great resource for GMs. Whilst I have only recently subscribed to your email, I look forward to being a contributing member to your site! That campaign started with each PC naked and chained to each other on a slave ship. A storm sunk the ship but the PCs escaped. They woke up in the morning, free once men again, and teamed up. Two real-time years later, the group was 7th level and they met their demise at the hands of a terrible druid and his powerful bear minion. The campaign ended but we gamed on for over 10 years together. A couple players left, a couple joined, but the core was there and so was the great gaming. On Valentine’s Day 2004 I started my dream job as a member of BioWare’s web team. 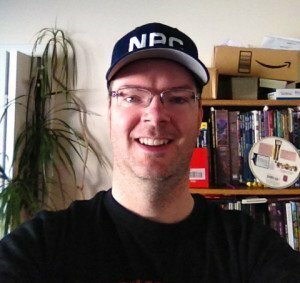 BioWare makes computer RPG and I was in my element: web geek + game geek. After a few months working there, I formed a game group with several of my co-workers. And we game together to this day, seven years later. The group dubbed itself TempleTPK from adventuring through T1-8 Temple of Elemental Evil and because we’ve had one complete TPK and two near TPKs. I’m not really a killer DM, but I do love the threat of final PC death to add drama, so I think we’ve got that going on all the time now. What Do I Like Best About RPG? In the 2012 Roleplaying Tips Reader Survey, I asked folks what they liked most about RPG. Several replied and turned it around by asking what I like. Here’s my answer. It is a huge creative outlet for me. I love design. And I especially love creating “game widgets” like NPCs, items and locations. Gotta tell you this site has made a MASSIVE change in the way my games run. I would not be surprised if you hear this often but I am a huge advocate of voicing my joy of something unique. I read your site every couple of days and have been around for a while. Really want to stretch out a thanks. You’re one of my top 3 websites I browse on all of the internet. This site is a great idea, with great execution, and great accomplishments. I enjoy the mental challenge. My game sessions are fast-paced action fests with a lot of roleplaying and PC-to-PC interaction. When everybody is shouting questions at me and I’m thinking what’s going to happen next and I’m trying to work out best tactics or clever NPC ripostes, I’m in my element. GMing to me is fusion of imagination, strategy and expression. Do all three at once, and that’s a pretty exciting experience for me. The fact I can schedule that to happen every two weeks – awesome. I also bask in the spotlight. It’s great for the ego to be the referee, to have a lot of control over the levers of the game, and to be the Host of Fun for my friends. According to my personality tests, I’m a Judger and Controller. I just call it Good GMing. That said, I also enjoy sharing. I say yes to everything I can for my players. I enjoy chatting about RPG with others. And I love publishing Roleplaying Tips and rubbing shoulders with game masters around the world and learning how they do things and what works well for them. Roleplaying Tips serves game masters so well today because of all the contributions readers have made over the years. Hats off to you, fellow GMs. Your wisdom is valuable and made available to everyone here to improve their own mastery.